How Do You Win the Battle against Aging Skin? Have you ever used a facial cream and waited for results that never came? Most anti aging creams on the market today only contain few active ingredients in concentrations that are often too low to be effective. These products contain many cheap fillers and chemicals that over time actually hurt your skin. Reverta’s Anti Aging Cream contains an astounding 19 bio-active ingredients, which work together without side effects to improve your skin’s hydration, complexion, skin tone and radiance. Are you worried about toxic ingredients in skincare products? As preservatives, Parabens are used in a large number of skincare products. Parabens have been found in some studies to increase the risk of cancer, allergies and other health risks due to the resemblance of parabens with female hormones. Reverta’s anti-aging cream is 100% free of parabens. Are you spending a fortune on many different facial creams? Often, companies try to sell you an expensive eye cream to treat dark circles under and around the eye. Combine that with an expensive day cream and night cream and you have spent a small fortune. 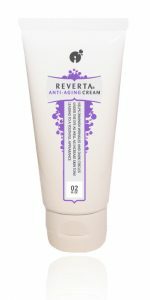 Reverta’s Anti-Aging Cream is like having 3 moisturizing creams in 1. One high quality facial cream for 30% of the price of some of our competitor’s products. Let’s face it, most of us don’t mind growing older, but at some point in our life, we start to worry about looking older. 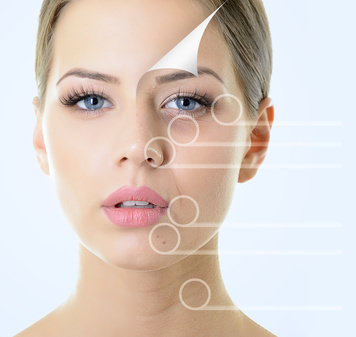 It is well known that our skin starts to deteriorate in our mid-twenties. Over time, our skin slowly loses its elasticity and radiance. Our face, which is exposed to the harsh elements every day, is the first part of our body to show the signs of aging. The thinner skin around the eyes often shows the most signs of aging. Being reminded of the fact that you’re getting older is never fun. That is why more-and-more people in their twenties are resorting to painful cosmetic procedures to keep their face looking young. But here’s the problem: many of these cosmetic procedures are expensive and have many risky side effects. It’s really not that difficult to keep your skin in top shape. All you need is a good facial cream with proven ingredients to fight wrinkles and boost your skin’s own collagen production. What Will Happen To Your Skin if You Don’t Take Care of It? When you go through your pictures on your computer or phone and look at how you looked 5 – 10 years ago, do you notice how your skin has changed over the years? Or have you ever noticed how younger colleagues have an easier time getting promoted and that it is harder to get a job offer after an interview as you’re getting older? Although age discrimination is illegal, it’s hard to prove and happens every day. The skin produces less collagen, elastin and anti-oxidants. This results in weaker skin with more lines, wrinkles and age spots. There is a significant reduction in the production of new skin cells and a build-up of dead skin cells. This results in a ‘dull’ complexion. It is well known that between the ages of 28 and 36, the number of visible wrinkles increases by an astounding 52%. Your Aging Skin: What will YOU do about it? Here’s a question: What is your best feature? Is it your personality? Your hair? Or the clothes you wear? You can only choose one… When it comes down to it, which one do you think is the most important? Most people will come up with different answers if they’re allowed to think about it for some time. Your face is probably your most important feature. Your Face Is What People Look at First! There is no way to get around it: We are being judged all the time. Whether you’re at work, at the store, a networking event or online, people are looking at you! And your face is what most people are looking at first. Your face is also the part of your body that is exposed to the harsh elements the most. During our twenties, our facial skin will start to lose its youthfulness. And it’s only getting worse after that. Are You Just a Few Weeks Away From People Complementing You on How Young You Look? I believe the answer to that question is yes! Many people who use this cream say that they received compliments from friends, colleagues and even total strangers on how good their skin looks. How would you feel if you noticed less wrinkles in the mirror? Or, your dark circles under the eyes start to disappear and you start to look less tired. Okay, people are different, so perhaps it will take a little bit more time, but by the time you’re finished with your first tube of Reverta’s Anti-wrinkle Cream, you WILL start to see changes in your skin. I, the founder of Reverta, was originally trained in molecular biology and neuroscience. I also happened to suffer from a number of skin conditions and was frustrated with wasting money on over-prized skin care products that did not work or irritated my skin. While I was developing formulations to treat rosacea, my wife urged me not to forget about a good anti-wrinkle cream, as both our faces looked tired and old due to years of stress, long commutes to work and lack of sleep. As part of my research, my wife gave me a sampling of various anti-aging creams that were expensive and not very effective. She told me how uncomfortable some of these creams felt on her skin and after trying these products on my skin, I agreed. Many of these products also contained many fillers and unhealthy preservatives. And as for active ingredients that could actually reduce wrinkles, I found that those were limited in most products. With my scientific background and years of experience working in pharmaceutical R&D, I was determined to do whatever it took to create an anti-aging formulation that was effective, affordable and safe for sensitive skin. After carefully studying many research studies on anti-wrinkle ingredients, I was ready to formulate a number of prototypes with ingredients that were proven to be effective. Many friends and family members, who all had different skin types, were eager to try the different formulations. In this time-consuming process, each and every ingredient was tested in a number of different combinations with other ingredients and in different ratios. It was not only important that the ingredients were effective, but it was also important that the ingredients did not cause any skin irritation and that the product was safe. Are you worried about the safety of the ingredients? Special attention was given to the safety of preservatives, as many skin care products contain preservatives that could to be harmful to our health. Whenever possible, natural ingredients, such as herbal extracts, were used, as long as they had a proven track record of being effective. The different formulations also needed to feel good on the skin, as the anti-aging cream would be used daily. How about the SPF Factor? I decided early on not to add any sunscreens to Reverta’s Anti-Aging Cream, as the health effect of chronic sunscreen use has not been determined. As many customers use the cream as a nightly moisturizer, it did not make much sense to formulate the product with added sunscreens. After receiving a lot of positive feedback from early users, the final formulation was manufactured by a GMP-certified skin care company, who has been manufacturing the skin care lines of many famous plastic surgeons and dermatologists. The Secret of the Best Anti-Aging Cream? Hyaluronic Acid: is a large polymer that is one of the most powerful natural moisturizers. It promotes moisture absorption and retention. Size 2.0 fl.Oz. 2.5 fl. Oz. 1.0 fl.Oz. 1.7 fl.Oz. 1.7 fl.Oz. Worried whether our Anti-Aging Cream will work for your skin? You probably have seen the many different eye creams being advertised today. You may have even been convinced to purchase one in the past. Fact is, the majority of eye creams are expensive and some of them do not even work! 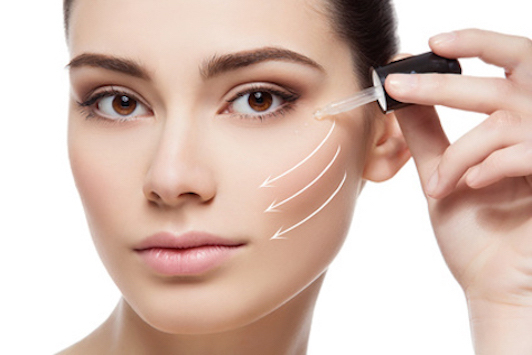 Research has shown that most eye creams on the market only moisturize the skin around the eyes. Dark unsightly circles are not being treated. Why, you may ask? There is in fact only one active ingredient that is effective in the treatment against dark circles under the eye and that is Haloxyl®, developed and patented by the French company Sederma. Most eye creams do not even contain this ingredient. The best thing about Reverta’s Anti-Aging Cream is that you’ll get two products in one: a high quality facial anti-wrinkle cream and an eye cream. You don’t have to purchase a separate (expensive) eye cream. This is what makes Reverta anti-aging cream one of the best anti aging creams. Dark circles form when tiny blood vessels around the eye leak hemoglobin. Hemoglobin breaks down to form highly pigmented degradation products, which accumulate in the skin around the eyes. In particular in people with really fair skin, these dark degradation products show through the skin as dark circles under the eye, almost as a bruise. This will result in a tired and dull appearance of your face. Both in vitro and in vivo studies have demonstrated that Haloxyl® works by reducing the formation of these pigmented by-products. Haloxyl® also reduces inflammation and increases skin density for a better support of the skin’s tiny blood vessels. Both dermatologists and plastic surgeons agree that plastic surgery is not the best treatment for dark circles under the eye. In contrast, Haloxyl® has been proven to be a safe, effective and pain-free treatment option. Haloxyl® reduces dark circles under the eye by reducing the formation of blood breakdown products. It strengthens tiny blood vessels and improves complexion. Using our anti-aging cream regularly will not only reduce unsightly dark circles under the eyes, it will also prevent the re-appearance of dark circles. Argireline® is a synthetic peptide which is a shorter version of the Botulinum toxin (Botox®) and inhibits the signaling between nerves and muscles in the face. Argireline® thereby decreases the contractions of muscle cells. This in turn helps to decrease fine lines and wrinkles that often occur on the forehead and around the eyes. 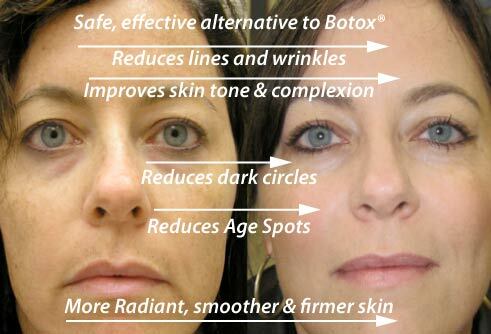 Argireline® simply relaxes the muscle cells and does not paralyze like Botox®. Argireline® is absorbed through the skin and does not have to be injected. 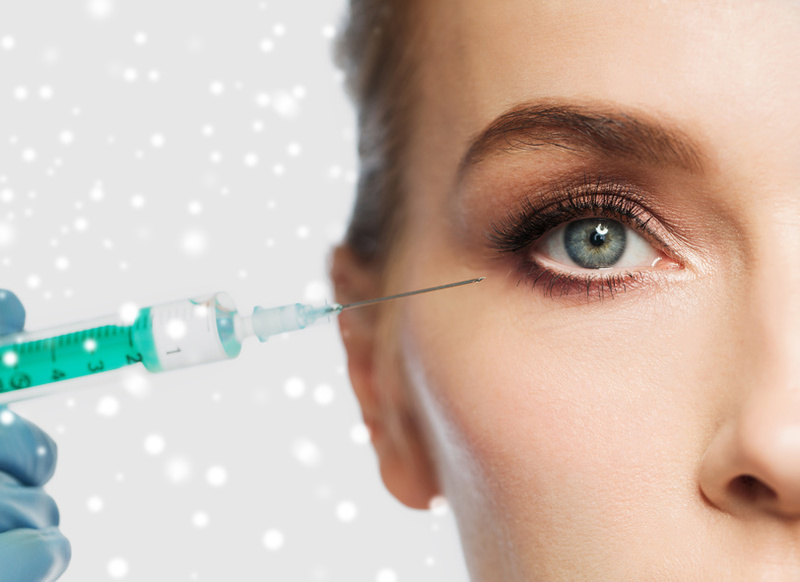 Botox® is a trade name for Botulinum Toxin A, a powerful natural toxin produced by the Botulinum bacteria. Botox® is used by plastic surgeons to reduce the appearance of wrinkles by injecting the toxin in specific areas of the facial muscles. Despite the numerous negative side effects of Botox® injections, many people successfully used Botox® treatments to reduce facial wrinkles. Recently, Argireline® (Acetyl Hexapeptide-3) came on the market and changed anti-aging skin care forever. The manufacturer of Argireline® spent years on R&D before finally releasing Argireline® to the market. The result is a patented 100% safe and effective, non-toxic peptide that when applied to the skin on a daily basis almost mimics the effect of Botox® injections – without the negative side effects. Anti-wrinkle effects of Argireline®: Images showing skin before treatment (Left) and after 30 days of Argireline® (Right) treatment. Yes, I would like to try Reverta’s Anti-Aging Cream Risk-free for 90 Days! I’ll get my money back if I’m unsatisfied in any way. 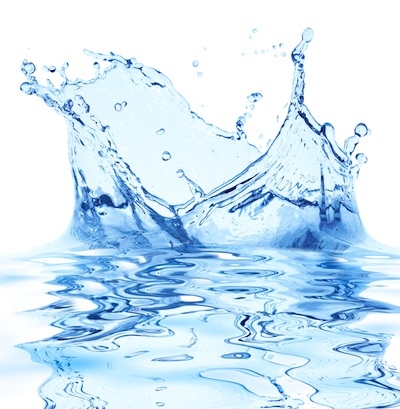 As we age, the production of hyaluronic acid decreases, causing the skin to look less youthful. By supplementing the skin with hyaluronic acid found in Reverta’s anti-aging cream, your skin will regain lost moisture, volume and elasticity, thereby effectively getting rid of fine lines and wrinkles. After the success of Botox®, many plastic surgery sites started treating patients with injections of Restylane®. Restylane® is a registered trademark of hyaluronic acid injections that are used to smooth out wrinkles and dull skin of the face. Injections with hyaluronic acid treat wrinkles by increasing the volume underneath the skin. Reverta’s anti-aging cream does not only contain an ingredient that resembles Botox® (Argireline®), but also the active ingredient of Resylane® (Hyaluronic Acid). When you purchase Reverta’s Anti-aging Cream, you are receiving one of the most effective anti-wrinkle treatments without the costly and risky injections! Hyaluronic Acid is one of the safest ways to improve your skin’s radiance and skin tone. Because hyaluronic acid is produced by our own bodies, it can be used on a daily basis without any adverse health risks. 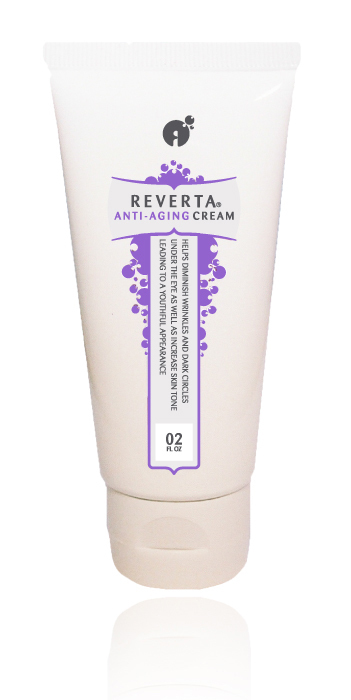 Reverta’s Anti-Aging Cream Is Everything You’ll Need to Achieve Younger Looking Skin! Click the Button and Start Rejuvenating Your Skin! Marine Collagen and DMAE are therefore powerful ingredients in the fight against wrinkles. There are different sources of collagen to choose from, all with different features. Human collagen: Due to the high melting point, human collagen cannot be absorbed by our skin when applied topically. It can only be applied to the skin by injection and can only be used locally. Expensive option. Animal collagen: Mostly derived from cows. Also not being absorbed due to high melting point and has to be injected. Use of animal collagen has some health risks associated with it, in particular the risk of being infected with the agent responsible for Mad Cow Disease. Marine collagen: Very similar to human collagen and because of the low melting point can be easily absorbed by human skin. Also contains DMAE and is therefore another very effective high quality anti-aging ingredient used in Reverta’s Anti-Aging Cream. A Unique Blend of Nature’s most powerful antioxidants, such as Coenzyme Q10, Extracts of Green Tea, Pomegranate, Echinacea, Grape Seeds, plus vitamins A, B, C and E.
How to Combat Free Radicals? Our skin is very sensitive to free radicals. Free radicals are unstable oxygen molecules that will react with almost anything. Apple, banana or avocado exposed to air quickly turn brown, which is a sign of oxidation. This is the same effect that free radicals have on our skin. Specific enzymes and antioxidants in our bodies can neutralize these free radicals. However, as we age the level of antioxidants in our skin declines significantly. That is why it is important to help your skin to stay young by giving it enough antioxidants. Reverta’s anti-aging cream contains a very powerful blend of 10 of nature’s best antioxidants! Most creams on the market today only contain a few antioxidants (see also our table above). Research has suggested that antioxidants work better in combination with a large number of other antioxidants (synergistically). Many creams are being sold in a jar. Because of the frequent exposure to air and light, many antioxidants quickly lose their effectiveness. Try Reverta’s Anti-Aging Cream Risk-free for 90 Days! Your Money Back if you’re unsatisfied in any way! Why would you believe the sales pitch of Hollywood stars who receive millions to promote the anti-wrinkle creams of famous brands? High-quality natural ingredients that are proven to be effective? An anti-aging cream that treats all 10 signs of aging for an affordable price? Do you fear that your face is starting to look too old? Many anti-wrinkle creams only treat 1 or 2 problem areas of aging skin.